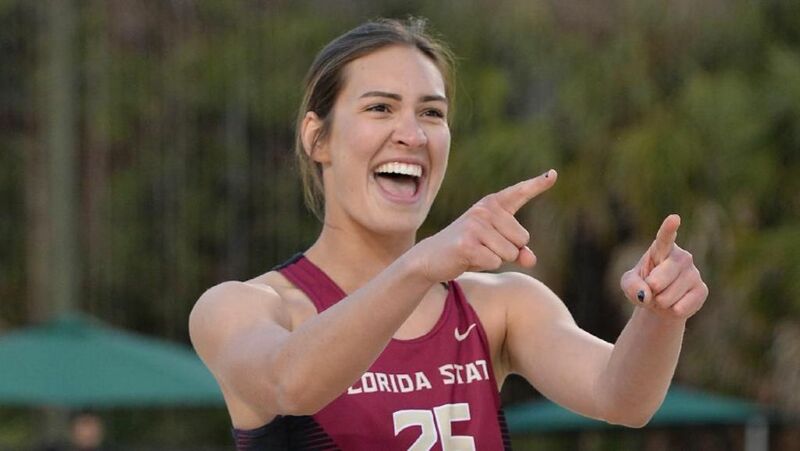 TALLAHASSEE, Fla. – The Florida State Beach Volleyball team held its first live action of 2016 with the Garnet & Gold exhibition match on the Seminole Beach Volleyball Courts. All five courts were in action as 11 different teams were featured on Friday night under first year head coach Brooke Niles. In first round action, three of the five courts went two sets including victories by Jace Pardon/Julie Brown, Nina Pellitteri/Tory Paranagua and Sierra Sanchez/Vanessa Freire. Courts three and five went the distance with the teams of Annie Montgomery/Kayla Joyce and Cecilie Woie/Katie Horton coming out on top. All five courts were decided in two sets in the second round with Pellitteri/Paranagua defeating Brown/Pardon 21-19, 21-18 on court one. Florida State will conclude its exhibition weekend with an alumni match on Saturday, February 27. Some of the alumni returning to face one another on Saturday include Aurora Davis (’14), Katie Mosher (’15), Taylor Nyquist (’15), Melanie Pavels (’15) and Lacey Blackman (’12). The alumni match is scheduled to start at 4:30 p.m. Admission to all beach volleyball matches are free of charge. The Seminoles open the 2016 season on Friday, March 4 against South Carolina in Tempe, Ariz., at the Sun Devil Challenge.